Eritrean Christian Twen Theodros (35) was arrested in January 2005 at an underground church prayer meeting and put in prison. Like most Christian prisoners in Eritrea, she has never been charged, tried or had access to a lawyer. Twen has endured terrible beatings and torture at the hands of prison guards. LATEST NEWS (2017): In 2017, Twen and the other women in her group were moved to a prison camp closer to Asmara, which was good news for their families. Twen was first arrested in 2004 in the capital, Asmara, not long after she came to faith in Christ. She was released after her father persuaded her to sign a paper saying she would not continue to meet with other Christians, share her faith or engage in Christian activities. Twen was arrested again in January 2005 for holding a New Year vigil with Christian friends, and was sent to Mai Sirwa Prison. In 2006, Twen was joined in Mai Sirwa by a large group of Christians arrested at a wedding in Asmara. Twen and the women from this group who refused to sign papers stating they would no longer engage in Christian activities were sent to one of Eritrea’s harshest prisons, Wi’a, on the Red Sea coast, a desperately inhospitable location. Hundreds of prisoners died in Wi’a prison as a result of extreme heat and appalling sanitary conditions and it was closed by government order in 2009, after a meningitis outbreak caused the death of approximately fifty Christian prisoners. Surviving prisoners, including Twen and her group, were sent to Me’etr prison in the remote northwest. The prison has no nearby town or public transport links, so family members could not visit. Me’etr prison was opened in 2007 to house Christians arrested for their faith and is run like a labour camp, with prisoners forced to work very hard. Food is inadequate and the climate is harsh (extremely hot and dry most of the year, with many sandstorms from the desert). Mussie Eyob is in Me’etr. In 2017, Twen and the other women in her group were moved to Mai Sirwa prison camp, near Asmara, which was good news for their families. The weather is not as hot as in Me’etr, prisoners can have visitors and family members bring food. Twen leads and cares for the women the prison. Others describe her as a “precious, lovely Christian”, determined to follow Jesus and willing to stay in prison as long as God enables her to serve Him there. Once, because of illness, Twen was allowed to stay with her family in Asmara for a month, but after treatment she made her own way back to the prison rather than arrange to be smuggled out of Eritrea. She and a group of twelve Christian women who have been in prison for around the same length of time have been told that if they renounce their faith in Christ they will be released immediately. All have steadfastly refused to do so. At one stage of Twen’s imprisonment she spent time in a shipping container with gospel singer Helen Berhane, and features in her book Song of the Nightingale as “Esther”. When Helen was very ill because of beatings and prison conditions Twen fed her, washed her wounds, carried her to the toilet and occasionally took punishment in place of her. Twen’s family home is in Asmara, where her parents live. 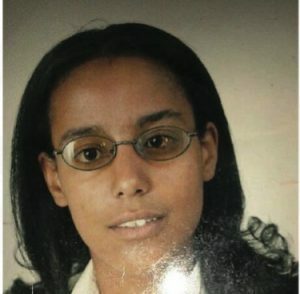 They are Roman Catholics, and Twen was a member of a Catholic renewal group before she was arrested – many of Eritrea’s Christian prisoners belong to Orthodox and Catholic renewal groups. 2004 Twen was arrested in the capital, Asmara, not long after she came to faith in Christ. She was released after her father persuaded her to sign a paper saying she would not meet with other Christians, share her faith or engage in Christian activities. January 2005 Twen was arrested at an underground church New Year vigil and was sent to Mai Sirwa Prison. 2006 Twen was joined in Mai Sirwa by a large group of Christians arrested at a wedding in Asmara. Twen and the women from this group who refused to sign papers stating they would no longer engage in Christian activities were sent to one of Eritrea’s harshest prisons, Wi’a, on the Red Sea coast. 2009 The government closed Wi’a prison after a meningitis outbreak caused the death of approximately fifty Christian prisoners. Hundreds of other prisoners had died as a result of extreme heat and appalling sanitary conditions. Surviving prisoners, including Twen and her group, were sent to Me’etr prison in the remote northwest. 2017 Twen and the other women in her group were moved to Mai Sirwa prison camp, near Asmara, which was good news for their families.